Betty Crocker’s ‘New’ Picture Cook Book. 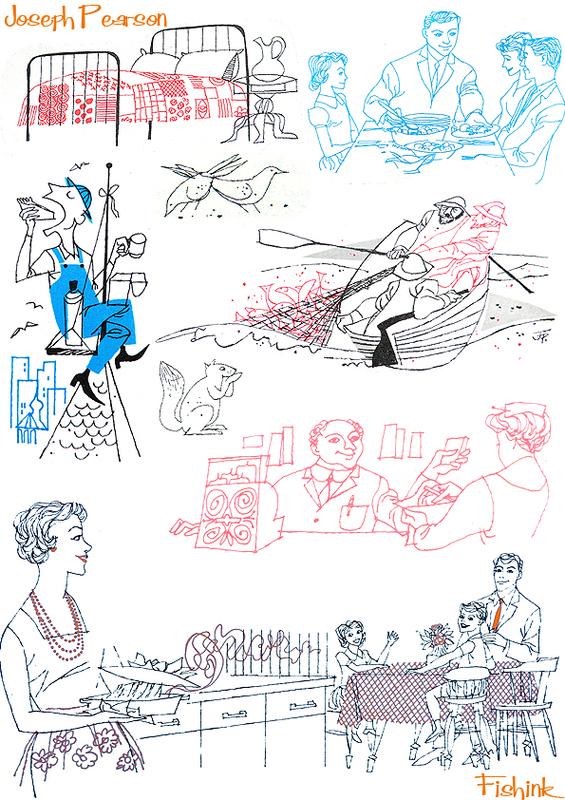 Illustrations by Joseph Pearson. I was fortunate to find a copy of ‘Betty Crocker’s New Picture Cook Book’ in a second hand shop last week. My copy is a first edition, in it’s sixth printing and that was way back in 1961. Looking through it, I see how much the likes of ‘Madmen’ and ‘Pan Am’ have been influenced from the books of this era but also how much we’ve changed as a society, in the way that we interact with one another and in terms of what we now find attractive to eat. The stereotypical scene of the good housewife taking a steaming pot from the oven, with a big smile on her face, as her husband does his ‘honey I’m home’ bit, features throughout the book. Alongside pictures of strange dishes, (by today’s standards) of items like Ham Mouse, looking a little more like some space alien than enticing food for today’s table. 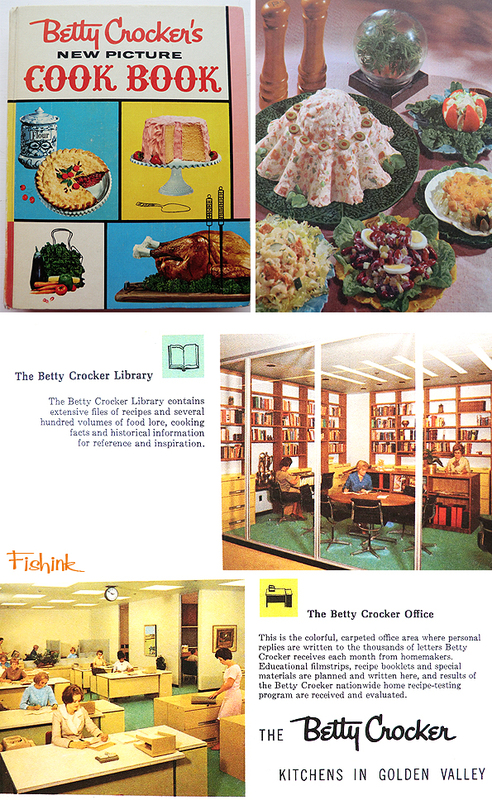 I loved these images of the Betty Crocker office with the Kitchens in ‘Golden Valley’, didn’t everything in the 1960’s just appear to be so perfect ! The book is actually a pretty amazing piece of culinary research, with over 450 pages and 1,850 recipes from kitchen know how to eggs, soups and vegetable ideas. There are some great paragraphs too, like this from the section entitled ‘Hints for the Homemaker’. Wear comfortable shoes and easy fitting clothes while working. Stand erect. Good posture prevents fatigue. Have sink, work table, counter tops at height that is comfortable to eliminate strain. If dishpan is too low, set it on a box. Use a dust mop and long handled dust pan. Use self-wringing mop to prevent stooping. 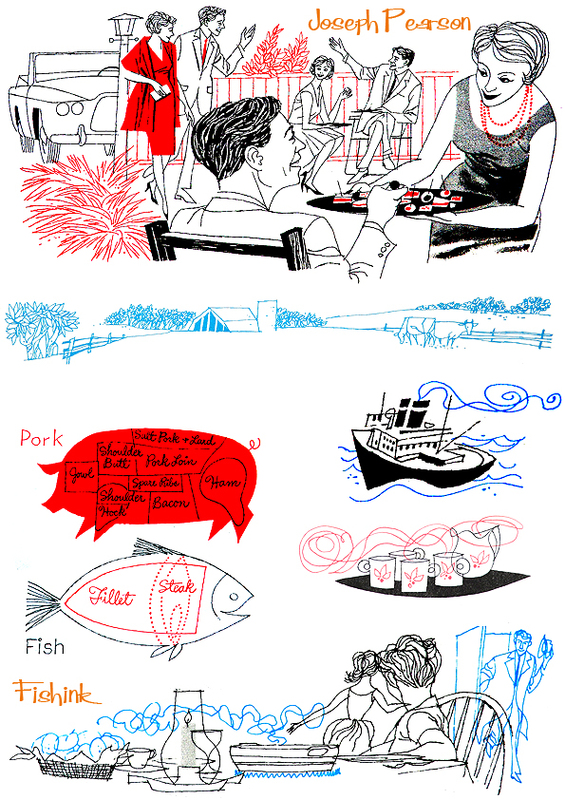 When I first picked up the book, I was instantly drawn to the illustrations by a talented guy called Joseph Pearson. All the way through the book Joseph has included beautifully drawn characters and situations which have been added to cleverly illustrate each section. There must be over 100 of them. I couldn’t discover much information about Joseph Pearson apart from the books he illustrated in a more watercolour style in the USA in the mid fifties called ‘The New People and Progress’. If anyone has any more info or knows or any other books he’s illustrated in this syle, I’d be interested to hear from you. In the meantime, I hope you like them too. On a different but connected note, if you haven’t seen the 2009 Mel Streep and Amy Adams film ‘Julie and Julia’, about the life of French Cook, Julia Child, then I would highly recommend it. A wonderful feel-good film created from two true stories, enjoy. ← The Magic Garden , Wolverhampton. Foliage meet fantasy. Thanks Dorothea, You bet i’d love to see more . My mom has a very worn copy of this cookbook, and as a child I used to love to just sit down and look at the illustrations. I’m so glad you digitized them! I couldn’t find much about the artist either, but he is immortalized in this classic reference. Welcome and many thanks for your comment Melissa. I will post more of this guys work when I get around to sorting them out. He has a superb style hasn’t he. Take care Craig. If anyone has anything else by him, please do let me know. 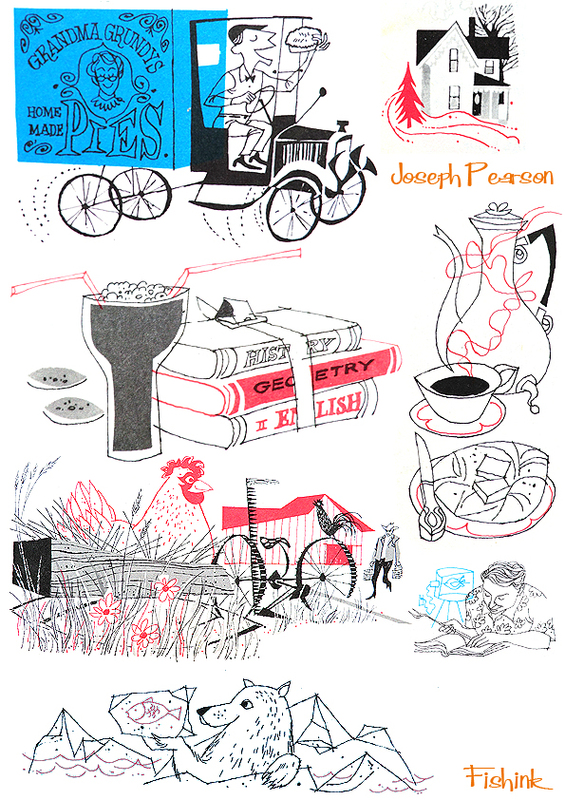 I have been looking for this man for about forty years and have only found one other thing he (Joseph Pearson) has done; The Southwest cookbook by the Chicago Culinary Institute. 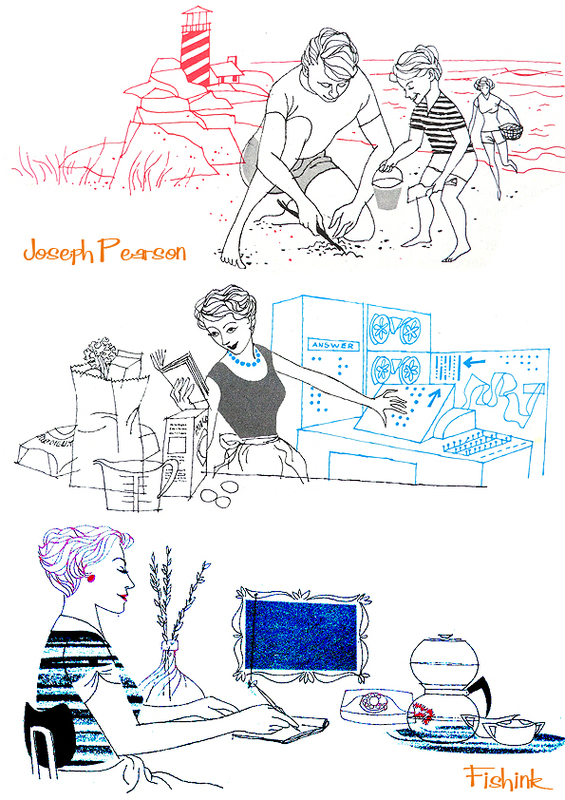 The work is early Joe Pearson and some of his sophistication isn’t quite apparent like it is in the BCNPCB. Anyway, the work is still incredible. One other thing about Joe Pearson is this; I am convinced he drew the devil logo on the Trappys hot sauce bottle. I contacted Trappys about this and they had no idea who created it. Interesting, the pr person I contacted said it was created in the mid 60s so I’m pretty sure that would have been when Pearson was hitting his stride both creatively and professionally. The only other references I could find were to a couple of American Children’s learning to read books but his style was very different, more like watercolours. It’s a shame that even the Betty Crocker company had no references to his work, history, address etc at all. Glad I’ve helped you to find a little more of his work. Thank you for your comments. If you still need information on Joe Pearson, he is my cousin and I would be happy to give you some info.